You know the old saying, “better safe, than sorry?” It’s always better to be safe than sorry when you are looking for a new apartment or home whether you are moving within your town, from another state, or even from another country. Rental scams are extremely prominent on Craigslist but also on trusted websites like Zillow and Trulia. According to ABC 7 News, in February a young couple was looking for a house to rent on Zillow.com. They found a home that fit their wants and needs and saw that their rent would only be $800.00 a month with utilities included, so they immediately contacted the listed owner. The owner told Courtney Greer, who was interested in renting the house, the house was vacant, available to tour and gave her the code to the realtor lock box so she would be able to get inside. She went through the house with her father and fiancé, taking pictures of each room and called the owner to say she wanted to make a deposit as soon as possible. The owner said he was out of town, that he was a pastor and was doing missionary work, and requested she wire him the deposit via Western Union to a Wal-Mart in Texas. That should have been her first red-flag, but instead, she excused it since he sounded legitimate and was able to tour the house. After the owner received the wired deposit, he or she disappeared. Courtney Greer fell victim to a replicated Zillow ad. It turns out the house was actually available for rent for $1,200.00 a month plus utilities and someone replicated it for a lower price so that it would appeal to someone needing to find a place to live immediately. You might wonder how the scammer could have had the right code for the realtor’s lockbox. According to ABC 7 News, police say scammers are emailing the real owner of the home pretending to be interested in renting their property. They will ask for the code to get in the house to tour it and never use it. Instead, they will make a fake listing and provide the code to the interested victim. These types of scams aren’t new to the internet, unfortunately, and have been reported as far back as 2006. In 2009 the Federal Bureau of Investigation released a consumer alert regarding phony online rental ads. More recently, according to the New York Daily News, a candidate for the New York State Senate was arrested on several grand larceny charges for allegedly conning 10 people out of a total of $50,000.00 for falsely listing his Hell’s Kitchen apartment for rent. He would demand a year’s rent in cash up front, then allegedly refused to hand over the keys. Never wire money to someone or pay with a prepaid debit card, especially before you have ever received or signed a lease. Scammers will often ask for your first month’s rent and security deposit immediately. Wiring money or paying with a prepaid debit card are the same as sending cash, and once you send it, it is difficult to get it back. Compare prices of nearby apartments and/or houses that are for rent in the same area. If someone is promising you rent that sounds too good to be true, it probably is. Scammers will often tell you that utilities and other perks are added into the base rent to try and lure you in. Make sure that the same rental listing is not listed elsewhere by a different agency or landlord. That is a huge red flag, and you should contact the other agency to verify the listing. Scammers will tell you that they are overseas working for a mission or doing volunteer work- do not fall for it. Make sure you go and view the property in person. If you cannot visit the property yourself, send someone you know and trust to view the property to make sure it is what was advertised. Check the local Appraisal District and Clerk’s records to see if the owner’s name matches with the person you are communicating with. Should you find yourself a target of a rental scam or come across a listing that could be a scam report it to your local law enforcement agency, the Federal Trade Commission, and the FBI Internet Crime Complaint Center. You can also look up licensed real estate brokers, salespersons, or inspectors at the Texas Real Estate Commission website to verify their credentials. Student Legal and Mediation Services has attorneys on campus to help students with any landlord/tenant issues, to review lease agreements and contracts or roommate disputes. 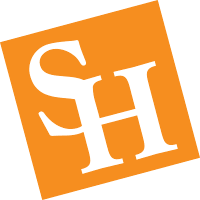 If you have any questions concerning the resources our office offers or need to set up an appointment, please contact our office by phone at (936) 294-1717, email at slms@shsu.edu, or visit us in the Lowman Student Center, Room 330.